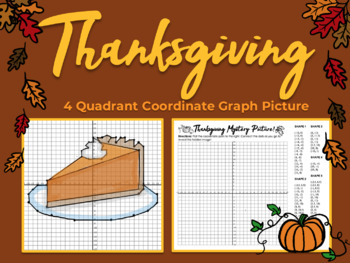 Finally, a Thanksgiving-related mathtivity that doesn't involve a Pilgrim hat! 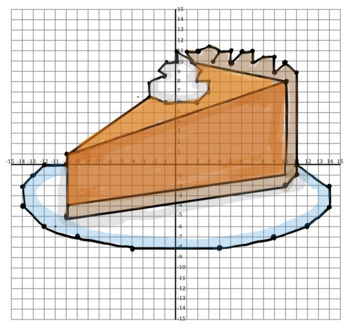 These coordinate points result in a slice of pumpkin pie. 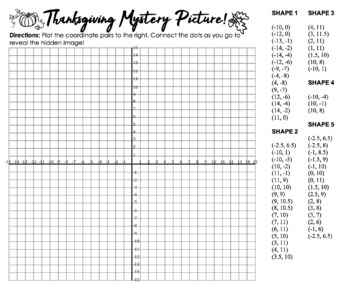 4 Quadrant Coordinate Graph Picture for those one or two days before Thanksgiving break. There are some half points and students may want a ruler for the straight lines. Note to buyer: Two versions are included - one that reads "Thanksgiving" and one that reads "November" in case you're sensitive about wording.